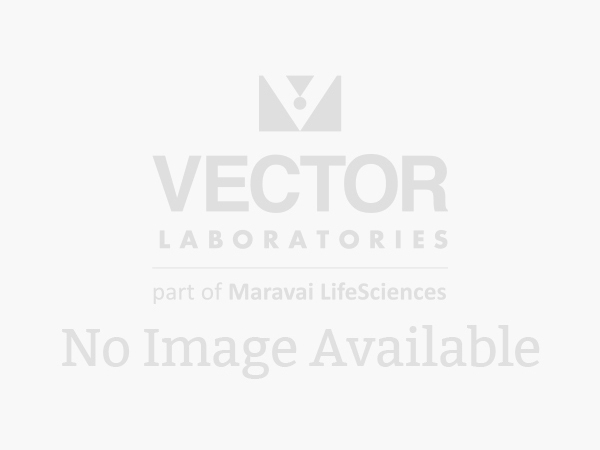 Vector Laboratories fluorochrome-conjugated streptavidin and avidin reagents are highly purified and possess very low non-specific binding properties. They have extremely high affinity for biotin. These fluorescent conjugates can be used to detect biotinylated secondary antibodies and other macromolecules in applications such as immunofluorescence, in situ hybridization, or flow cytometry. Amplification of fluorescent signals can be easily achieved with our biotinylated secondary antibodies followed by our highly purified fluorochrome-labeled streptavidin or avidin. Using a biotin/avidin or biotin/streptavidin detection system results in an additional layer of amplification over a directly conjugated secondary antibody. Phycoerythrin is a protein that produces a bright red-orange fluorescence. Our newly improved Phycoerythrin Streptavidin (SA-5207) is substantially brighter than previous conjugates. Phycoerythrin Streptavidin can be used on gene chips, in cell sorting, and in tissue staining. Phycoerythrin Streptavidin has a broad absorption range from 450 nm to 580 nm and a maximum emission at about 570-590 nm. It is a highly fluorescent label which can overcome problems of endogenous fluorescence. If this conjugate is used in tissue staining, VECTASHIELD® HardSet™ Mounting Medium is recommended for mounting. Optimal signal characteristics are maintained for 24 hours following mounting.